Occasionally I am asked by my retailer link to test a different brand racquet. It was with raised eyebrows and a big smile I was presented with Li Ning N90II to test. 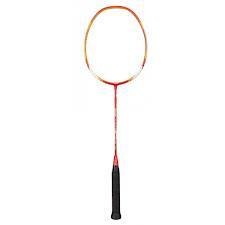 Most players will know this is the racquet of badminton’s all-time great Lin Dan. This is the first time I have used a Li Ning racquet and my immediate thoughts were to compare to Yonex Z Force. However, it would be unfair to review on this basis and if i don’t like the racquet, no doubt someone will suggest I am biased. There are very few markings on the racquet to gauge weight and grip size. Looking inside the racquet bag, I was surprised to see a number of papers…curious. To Li Nings credit there is a Quality Certificate, stringing instructions although English translation would be useful, a logo stencil (very nice) and a warranty card. This details events where Li Ning would not replace a racquet free of charge, such as stringing beyond the recommended tensions of 18-26lbs. I would recommend a read of this warranty card and retain it rather than discard. Attached to the racquet head was the usual advertising and technology pitch. I was hoping for more information but sadly it was missing. I therefore looked to the internet for more information on the racquet and was disappointed to read so many conflicting specifications. So, I’ll have to report what I feel in this respect. This is a standard 3U (weight 84-89g) G4 (Yonex G4 for reference). N90II is a head heavy racquet. According to internet, it has a medium/medium stiff shaft. Personally I consider this to be incorrect. The racquet felt extra stiff to me. It was certainly stiffer than my VT80. I have heard that the main weakness of Li Ning is the identification and consistency of the specifications and this has been confirmed with their premier racquet – very surprising and disappointing as this information should be accurate. N90II is a good looking racquet in red, white and gold. Being unfamiliar with Li Ning string I don’t know which string was used on this racquet but it is strung pretty tight in a medium gauge string. The racquet bag is a work of art, very high quality in red, black and silver with the brand name on the side and base. I understand the bags have now been changed, but have to say these are the best single racquet bags I have seen. I am a great fan of Lin Dan. 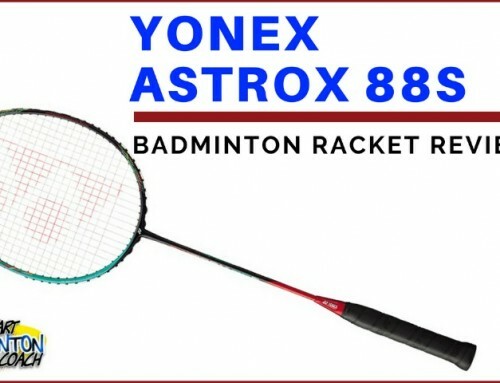 As a former Yonex endorsee Lin Dan used AT700, a very stiff, head heavy racquet, so I knew what to expect with N90II. Being a fan of stiff, head heavy racquets, I was really looking forward to playing with this racquet. Surely it can’t be too different from VT80, and probably similar to Voltric Z Force…WRONG! Let’s start with clears. Yes the racquet demonstrated a degree of power. There is very little torque due to the quality of construction, so consistency in the hit was good. Also, the shuttle travels true with a high degree of accuracy. For some reason I felt very uncomfortable with the racquet although it’s difficult to understand why…there just wasn’t the flow in power I was expecting, although we know in the right hands this racquet is dynamite. Onto drop shots and yet again the racquet performed very well indeed. I do like the control and feel with head heavy racquets although must confess, for me the racquet did not feel as solid as Z Force. That said, I have never felt any racquet being as solid as Z Force. I was expecting great things in the smash…and was very disappointed. For some reason I really struggled to generate any power. It was as if the racquet was too stiff, like a board! Very confusing. I really don’t have an answer here and I suppose it proves a point that some racquets really don’t suit you. This is one of those rare occasions where we were not at one with each other. Defensively you really have to work the racquet. It is reasonably quick for a head heavy racquet, but it’s not meant for doubles play unless you have worked very hard to build very strong wrists and forearms. I was fine with the N90II and liked the weight in the head to create a solid base to defend from. Also, you don’t need a big swing to return the shuttle with some force. 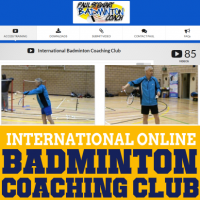 Around the net you have to take care to prepare properly. 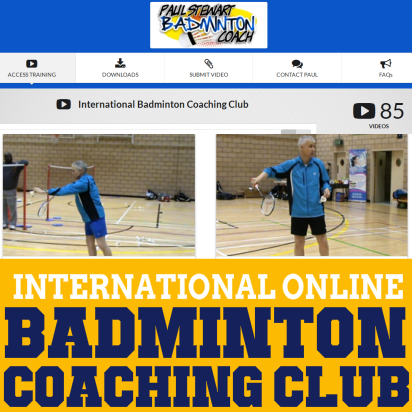 You will be punished if let your guard down by allowing the racquet head to drop too far as you simply do not have the time to recover…unless you have incredibly fast hands. Again, I like head heavy racquets so enjoyed how it played in terms of a solid base to play on which requires less effort to play the shot. I would say that you really have to work hard to keep the racquet head in play around the net. It can be pretty tiring so I would recommend building up to using this in a match if you are unfamiliar with head heavy racquets. Otherwise, you may tire sooner than you expect. Let’s be honest here, this racquet is not for everybody, including me, although I won’t count that in my rating. There’s no doubt it’s a high quality racquet and will probably favour singles players over doubles. 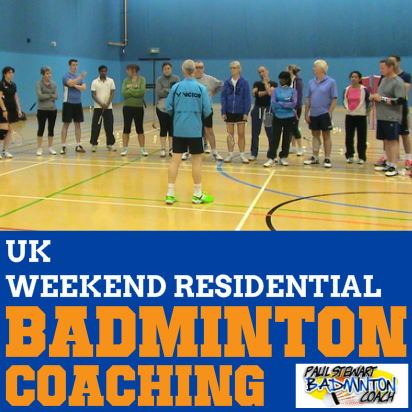 However, if rear court power is the only area of your game that you wish to work on, then this racquet should be on your list for a trial, despite my comments above. 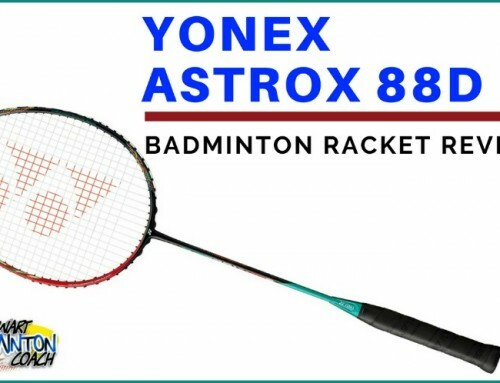 N90II cannot be considered a one-trick pony due to the famous user and his amazing ability on court, although he isn’t using this exact racquet but a custom version…as do all top players. It’s not as good defensively, although it is still very good and where it really lacks is the short speed shots around the net. What I did like a lot was the overall solid feeling this racquet has and the potential power it’s capable of for the right person. Bear in mind here, if you do not have a powerful smash and/or good technique, this racquet is NOT going to make you a powerhouse on court, although it may give you a bit more oomph in the power department. RRP for this racquet is a hefty £190 in UK, although online discounters may be selling around £140/150 mark. It’s very expensive although a little cheaper than other top-of-the-range racquets which suggests to me pricing has been adjusted since I first heard about this racquet. Although N90II is a lot more than a one trick pony, as evidenced by its famous user, its appeal will be limited. 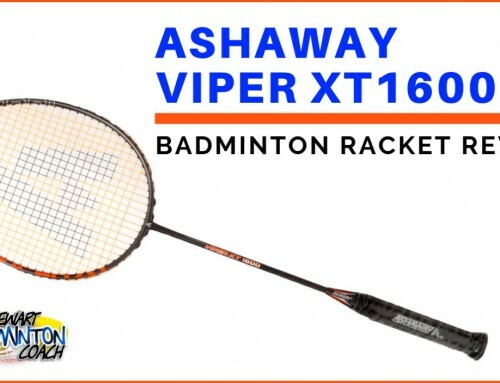 I am confused over the specifications and I would say that the extra stiff frame (my guess) will not endear the racquet to many. I have taken great care with this review to ensure I remain impartial to the brand and comment purely on playability. For me I felt the racquet was too stiff and lacked power, and I am still in shock to be reviewing N90II in this manner. But, it really did not deliver for me and I wanted it to. 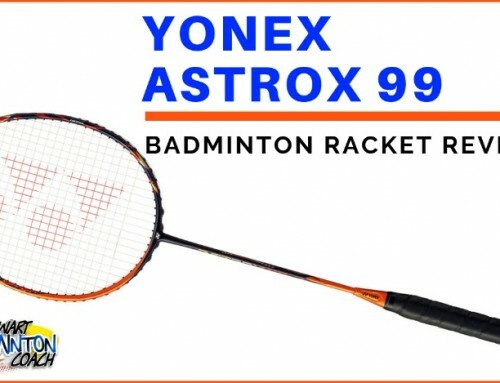 Based on the playability and taking into consideration also that aside from the marketing of the racquet with its famous user, there will be limited appeal, albeit some players will purchase it for this alone, I am giving N90II a three and a half star rating. This racquet has created more conflict for me in this review because it’s fallen below my expectations. In essence, I wanted this racquet to be everything I generally like in a head heavy racquet, and for some reason it wasn’t responding how I imagined. 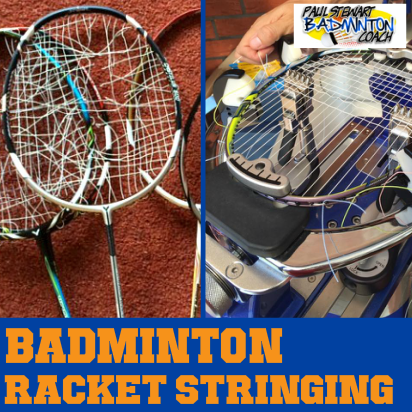 However, choosing a racquet is very personal so you should still keep it on your “must try” list if you are looking for a good head heavy racquet. I am a massive fans of collecting badminton rackets so Li Ning is obviously in my collections, specially LinDan. N90 is claimed to be used by Lin Dan but no is not. Lin Dan uses another version of the first N90 that’s in the market so is impossible to get the same one as him. The one he uses is specially made for him. To prove my point you can watch his matches an you can clearly tell that the racket is different to the N90 that online retailers sells. As far a I know, I haven’t watched any match that Lin Dan had uses N90-II. I actually have one of each N90 and they do feel different. My friend who is a true powerhouse with brute strength can easily bend this beast (n90) and demolish the opponents from the back court. I on the other hand cannot mutter even half of the power I usually have with a Zforce. Somehow the n90-ii is easily be swung and move through the air nicely for a head heavy racket but to bring power out of it is nearly impossible for me. Guess only Fu Haifeng-type players are capable of wielding it. Just my 2 cents on this racket. I don’t know when I will be reviewing Arcsaber 11 as it depends when I receive the racket. Also, I can only compare to Arcsaber 10 if I have one at the same time. I’ll do my best when the racket finally arrives. Hi Paul, are there any more Li-Ning racket reviews on the horizon?? Yes I am currently testing another Li Ning racket and will write my review very soon. Lin Dan never used this racket, it is just promoted as his racket. He always uses the N90 I racket (he used the N70 and N50 II for a short time as well). The N90 I racket is a different racket, lower overall weight, less stiffness and more head heavy than N90 II. 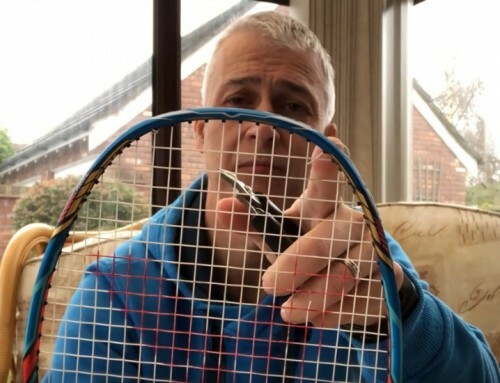 Hi Paul, haven’t gone through the whole review yet as I just had to inform you first that this is NOT the racket Lin Dan plays with, nor ever has in fact. He is just the poster boy for it ;). He actually plays with the N90 (I), you’d probably like that one better as well!